Graeme got a new car. It’s a big deal because Graeme has never owned a new car and has pretty much driven the “reliable”, unattractive, second-hand, semi-embarassing car. Yes, those cars. Yes, he’s that guy. When we first started dating, Graeme drove a 1988 white Acadian Scooter that he could only access from the passenger side. This was followed by a 1990 grey Toyota Corolla. The trunk became an impromptu aquarium every time it rained. It was not such a welcome occurrence since he also used it for storage of all sorts of household items. The 2002 Saturn arrived about 4 years ago. The passenger side of the car never stayed open so it constantly kept closing on you when you tried to get in or out. Graeme kept a pink garbage bin in the back for his used kleenex and coffee cups. And it was gungy. Even when Graeme cleaned it, it always looked like it just came back from a construction site. The air conditioner was more like warm air humidifier and the wipers didn’t always move back and forth. The key could be taken out of the car while it was still running. And of course, the trunk was Graeme’s mobile storage space, containing all sorts of items like a bag of old clothes needing to go to the nearest Value Village, sample carpet swatches, old shoes and the like. Now, Graeme is sporting a new 2015 black Corolla S (the S stands for sport). He walks a little taller, feeling a little more grown up. This is completely understandable considering the long line of other vehicles that passed for cars in his ownership before. 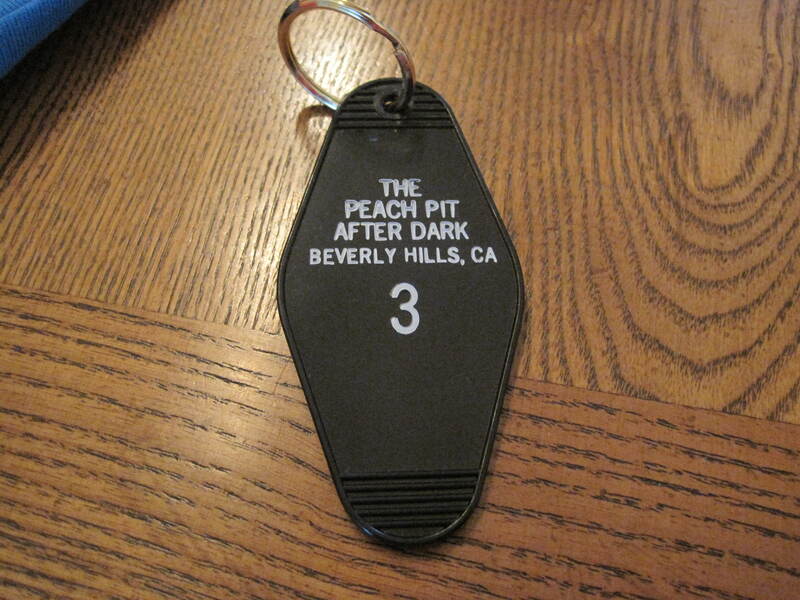 I got him a new keychain because his new car demands a new accessory. The trunk already has a bag of used clothes destined for Value Village. Old habits are hard to break. It is pretty awesome, I must admit! Especially since G was such a big fan of the show!